Perfect Moments — Perfect Moments. Beautiful wedding & event cutom stationery design, Dublin, Ireland. Perfect Moment is all about unique, beautifully designed details for your wedding event. You will have your own personal illustrator and designer to help you create your dream invitation. Each Illustration is a work of art, created by hand in our design studio exclusively for you. Our artistic flair and high-quality products are all the more reason to choose Perfect Moment. How do I order from Perfect Moment? Take a look at our recent invitation designs on our homepage to see if there is a style you like. Then pop over to our online shop where you can purchase the design deposit to kick start the process. 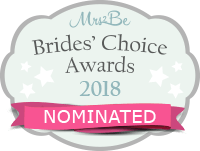 Once you have ordered you will receive a phone call or email from me - you will fill out a questionnaire and send us all your wording via the messaging system, and we will produce some drafts for your review. There is room for 2 iterations of changes and tweaks in order to get your wedding invitation design right then we will send final design to print when you are 100% happy to proceed to print. How long does it take to Receive Final Invitation? After you have purchased design deposit you will receive a questionnaire, this was I will be able to capture all the information needed from you to create your dream invitation. You will receive a mock up of wedding invitation design on pdf 1 week later. Allow 2 weeks for print after you have signed off on the design. You could have your wedding invitation design 3 weeks after initial purchase of deposit. Full payment is taken before sending invitation to print. The creative process kicks off with discovering your style and vision for your invitation. You can let me know or else I can help you decide what style and design detail you are looking for eg couples illustration, initial monograms or logo, venue or church illustration, personalised maps..... the sky's the limit. From there an initial design will be drafted up, and we will iterate the design detail until the design is complete! Once the design is signed off, we send your stationery to print. We use the finest materials and a professional, full-color printer. We can draw Inspiration from anywhere, your wedding venue, your personal love story, how you met, the proposal, your favorite holiday destination, we can turn any theme into a realisation. 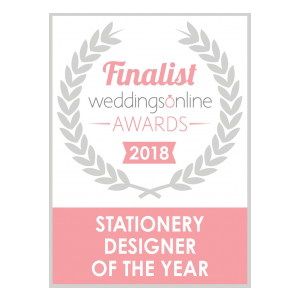 What other wedding stationery do you produce? Typically we produce day invitations, evening invitations, RSVP reply cards, Save the Date cards. Also on-the-day stationery including table plans, table names, ceremony booklets, menus etc. If you cannot see what you need on the website please get in touch and we will be happy to help. We can also customise designs for Christenings, Graduations & Anniversary announcements. Purchases may be paid for using our online secure payment facility ‘PayPal’ and 'Stripe'. Payment can be made by debit or credit card. All prices are in euro (€).